You don’t have to spend a fortune to have amazing Christmas decor. There are so many items you can make with a few simple dollar store items. These candles couldn’t have been easier to make. The only supplies I needed were two candles and a package of rhinestone stickers. 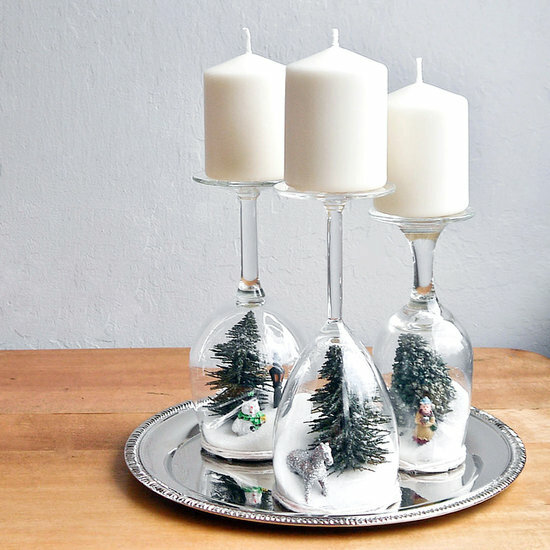 Under $4.00 and I have two Christmas theme candles to display and enjoy. I put the rhinestones on freehand but you could draw or trace the design of your choice and then fill in with some rhinestones. The great thing about the rhinestones is they come in a variety of colors to match any decor. I did use a pair of tweezers to put the rhinestones in place. I learned this after I had quite a few rhinestones stuck to my fingers. Here are some links to some of my favorite Dollar Store Christmas decorating ideas. 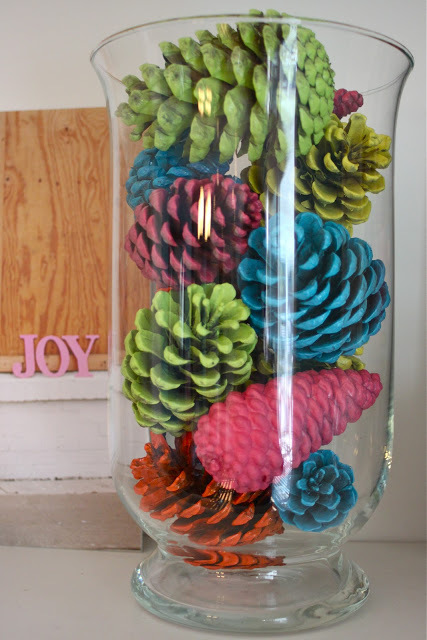 I love the idea of these painted pine cones in a Dollar Store vase. This little Ho Ho Ho recipe holder made from a Dollar Tree Betty Crocker cutting board is one of the cutest ideas I’ve seen for Christmas kitchen decor, I see one in my future – Merry Christmas me!!! Check out the tutorial at Word on Wheels. 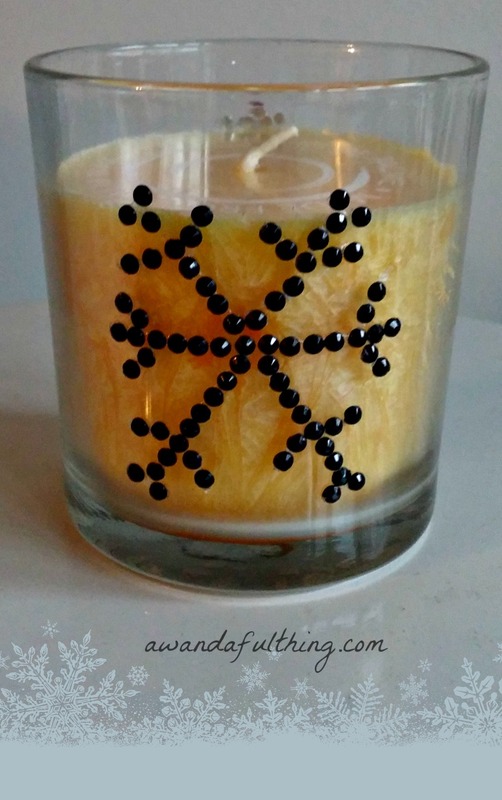 Day 8 – Jazzed Up Candles from the Dollar Store -It’s A Wandaful Thing! 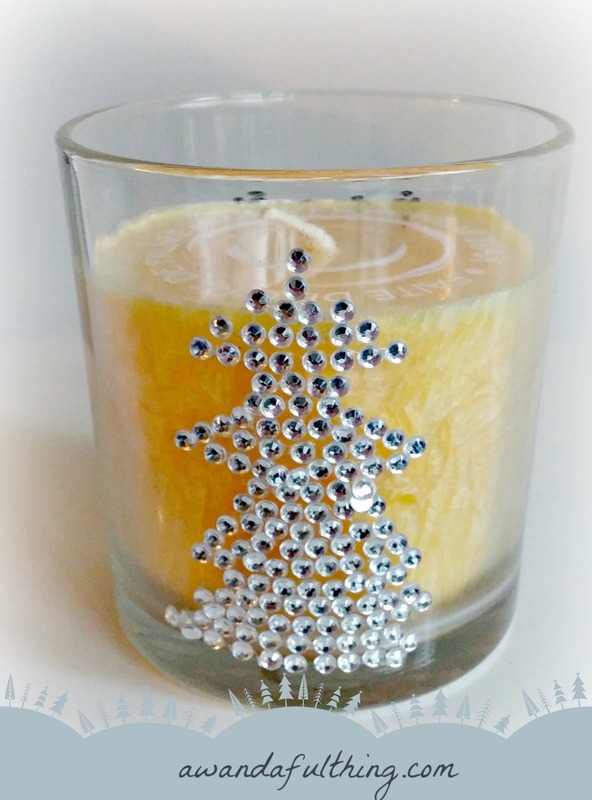 This entry was posted in Decorate, DIY, Make and tagged bling, candles, chrismas, Christmas, decor, DIY, dollar store, easy, elegant, embellish, make, simple, time saving, twine. Bookmark the permalink.